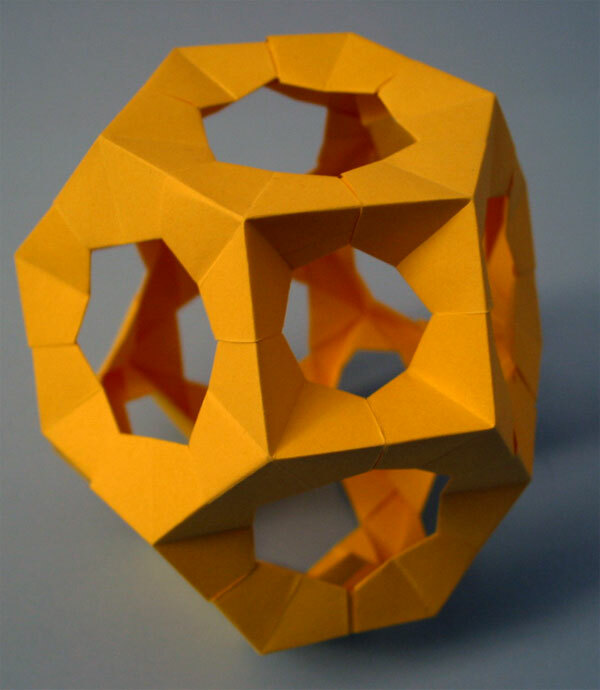 Modular origami involves folding several ‘modules’ that are individually quite simple, then joining them together to form a larger origami model that is much more complex. Usually the modules are identical, but even more complexity can be added by varying folds in the modules or mixing different types together. 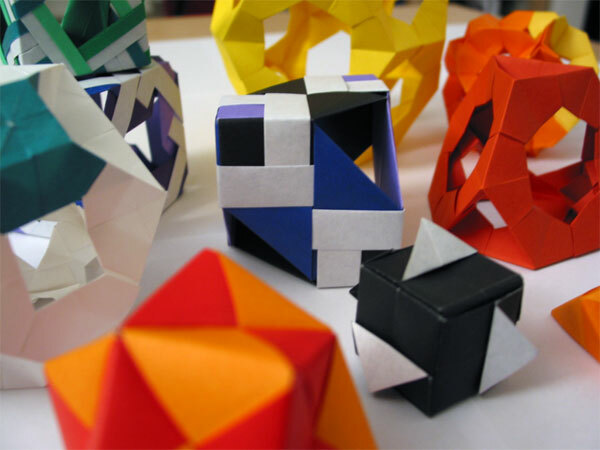 When it comes to getting started with modular origami, this book is one of the best available. 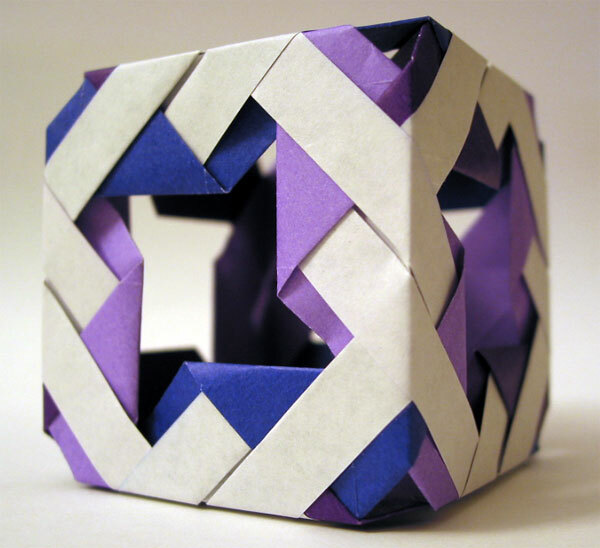 Covering how to build over 35 origami models, there’s plenty for everyone from beginner to expert. There are plenty of illustrations and photos of completed models to make it easy to follow the instructions. A very simple and satisfying module that produces solid models. 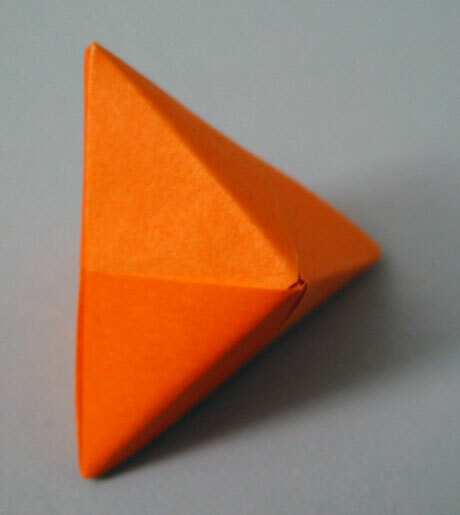 Very similar folds produce boxes with wildly different appearances, such as this ‘Ninja Star’ cube, with star-shaped holes on each side. Three- or four-pointed pyramid-like modules that create endlessly complex models. The design shown below isn’t featured in the book, but it’s easy to expand on the basics by combining the modules in different ways. For each style of model, there are many well-illustrated instructions, starting from the basic unit and working up to intricately folded modules that create complex patterns when joined together. At the end of the book there are a few other models that don’t really fit into the previous sections, although they are all fun to fold and look good when completed. One of the best parts of the book is that it’s essentially open-ended – several of the modules can be joined together in many different ways, and can be combined in big numbers to create incredibly detailed models. Adorning the cover of the book is a chain of 14 linked boxes that form a loop, a very impressive model that requires only simple folds to build. As I mentioned earlier, there’s something for everyone here, although all models require some precision in your folding, most are quite forgiving of slight misalignments. With a bit of assistance in the assembly stage, quite a few of the designs would be fun to make with children, since the finished model looks much more difficult than it actually is. Did you make the models, or are the pics from the book you described. These are gorgeous!!!! I’d like to use the pic of the ninja star cube in a presentation — would that be ok with you? How can I cite you? Kristina, I’ve emailed you about the photos! hey rob its me barcode how can i make they are beutiful and abstract. Can you email me the instructions for the “ninja star cube” please.